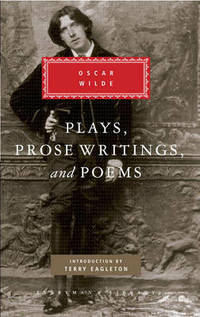 Oscar Wilde (1854-1900) was born in Dublin, the second son of charismatic parents, his father a surgeon, his mother a poet. Ungainly and awkward as a child, he won an open scholarship to Trinity College, Dublin, and went from there to Magdalen College, Oxford, where he took a First in Greats, won the Newdigate Prize for Poetry and announced that 'Somehow or other I'll be famous, and if not famous, notorious'. In London he set about establishing himself as a poet and wit, and when Gilbert and Sullivan's comic opera Patience toured the USA in 1882 he was invited to give a speech before every performance so that American audiences could recognize the 'perfectly precious young aesthete' satirized in the character of Bunthorne. This brought him both celebrity and money, and in 1884 he married Constance Lloyd, by whom he had two sons. He began writing fairy tales while working as editor of The Lady's World , and The Happy Prince was published in 1888. His first play, Vera, had been a failure, but in 1892 Lady Windermere's Fan was staged with great success. This was swiftly followed by three other enomously successful comedies, the most famous being The Importance of Being Earnest (1895). 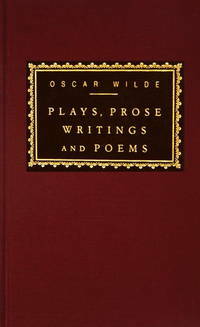 Wilde died in France, aged only 46. His plays remain as popular today as ever before. Although he read his fairy stories to his two young sons, he claimed they were ' . . . not for children, but for childlike people from eighteen to eighty'. Everyman's Library. Used - Acceptable. Shows definite wear, and perhaps considerable marking on inside. Everyman's Library. Used - Good. Shows some signs of wear, and may have some markings on the inside. Everyman's Library, 1991. Book. Good. Hardcover. 8vo - over 7¾ - 9¾" tall. Good, clean condition hardback - no jacket. Maroon boards with gilt lettering. Tight spine, clean pages. No writing or tears inside book. .
Everyman's Library, 1991-11-26. Hardcover. Good. Everyman's Library. Hardcover. 0679405836 no dust jacket - minor stain on closed page edge top - otherwise cover fine binding strong contents clean - enjoy . Very Good. Everyman's Library. Hardcover. 0679405836 . New. Everyman's Library. Hardcover. 0679405836 Special order direct from the distributor . New. 1991-09-05. Good. Ships with Tracking Number! INTERNATIONAL WORLDWIDE Shipping available. May not contain Access Codes or Supplements. May be ex-library. Shipping & Handling by region. Buy with confidence, excellent customer service!